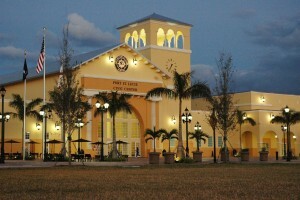 Port St. Lucie is a recreation-rich destination that especially appeals to sports enthusiasts. The city is home to PGA Village and the PGA Center for Golf Learning and Performance as well as a large selection of other golf courses, both private and public. First Data Field, the spring training center for the New York Mets, is also located in this palm tree paradise. Guests to the area will find both inland and deep sea fishing to be world class and the pristine rivers and warm Atlantic found in and around Port St. Lucie offer a host of other water activities to keep guests busy. Boating, sailing, scuba diving, surfing, canoeing and kayaking are all readily available for the outdoor enthusiast with a taste for adventure. Ecotourism is another appealing reason to visit Port St. Lucie, Florida. With thousands of acres of nature preserves, St. Lucie’s natural attractions are bountiful. Turtle and bird watching, hiking, horseback riding, and even manatee sighting is ideal for nature lovers. A meandering boat tour on the waterways of St. Lucie is a relaxing and enjoyable way to explore the marine environment of the area. Guests may even spot a school of dolphins off the bow. Other attractions to St. Lucie are cultural in nature. Port St. Lucie’s restaurants are splendid, offering some of the freshest seafood found anywhere. Shrimp and fish, fruits and vegetables are all gathered from local farmers markets daily! Shopping, theater, museums, and historic attractions are also options for visitors to the area. Of course, simply sitting and doing nothing is sometimes the best vacation activity of all. The city of Port St. Lucie, Florida has a population of 166,000 spread over 114 square miles. The nearest airport is Palm Beach International located 55 miles to the south.